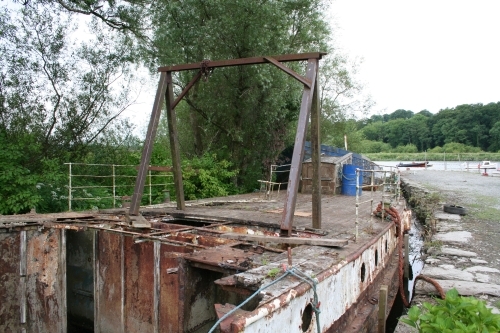 According to the Heritage Boat Association, the steamer Ferry King was built in 1918 by Camper and Nicholson and operated by the Gosport and Portsea Steam Launch Association until 1955. It was then sold to the Solent Boating Company, fitted with a Gardner diesel and renamed Solent Queen. 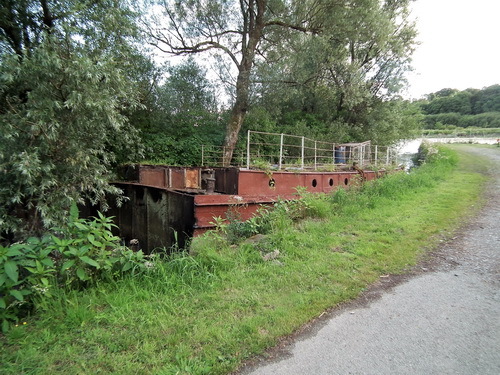 In 1985 it was sold to Waterford owners, renamed Crystal Rose and operated as a cruising bar and disco on the Barrow, Nore and Suir estuaries. 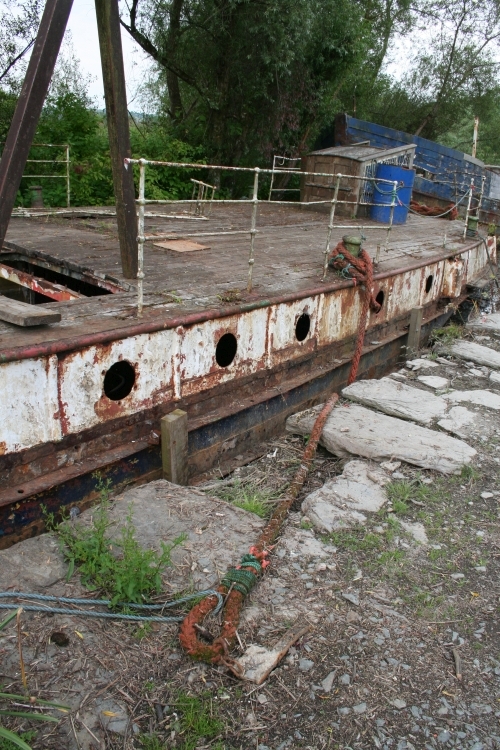 Grounded and abandoned some time later, it was bought in 2005 and berthed at Ballinagoth Quay on the River Nore, where restoration work began. 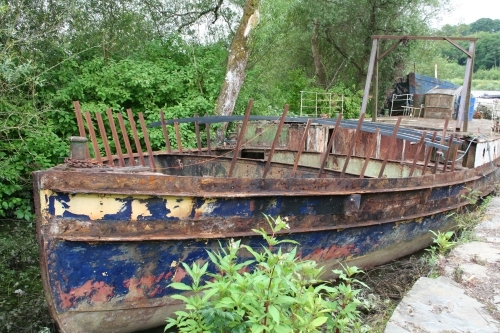 Re:- “The Ferry King”, situated at Ballinagoth Quay, Ballinagoth, County Kilkenny. 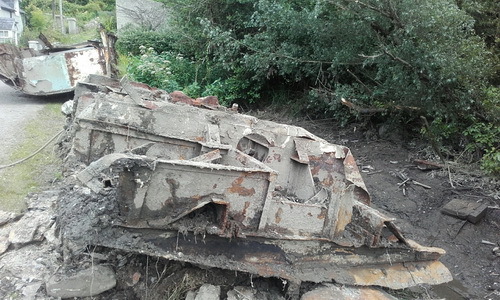 Retain out of the proceeds of sale the expenses incurred by the Council in relation to the removal of the Wreck. 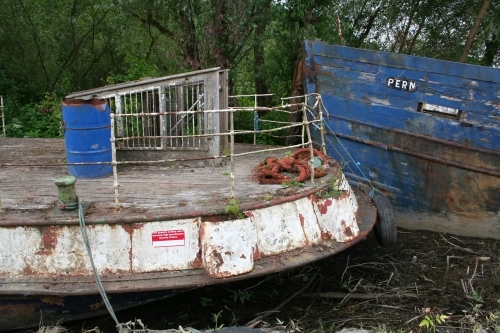 ‘The Ferry King’ is in poor condition and has remained at the quay for more than a decade now. 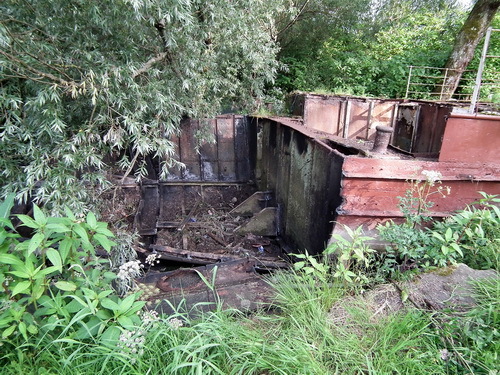 Local councillor Michael Doyle has raised the issue on a number of occasions, saying that the vessel had become unsightly, as well as a health and safety problem. The article linked within that quotation did not mention either Ballinagoth or Ferry King, so it may be about a different vessel. 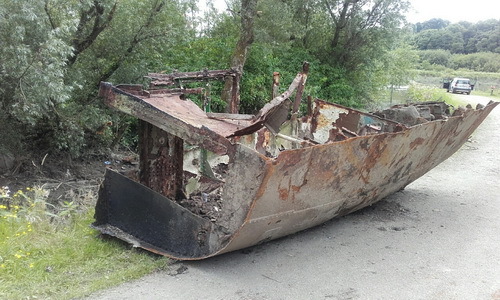 I asked Kilkenny County Council whether the vessel was actually removed 30 days after 18 April. 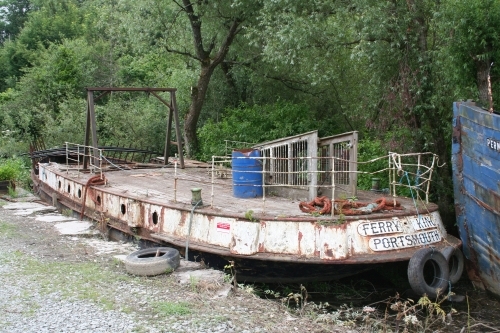 I was told that letters have gone out today seeking tenders for its removal, so Ferry King is still there. A steel structure has been placed at the river end of the inlet to prevent any other large vessel occupying the berth in which she lay. Here are some photos courtesy of John Dimond, who owns the copyright on them [(c) John Dimond 2017]. 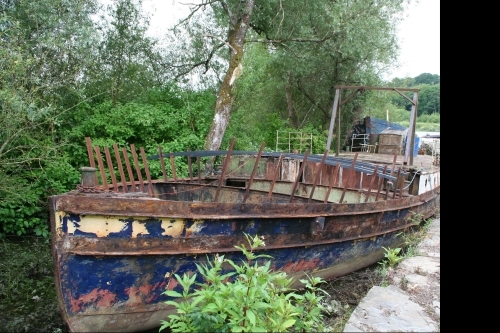 This entry was posted in Ashore, Engineering and construction, Extant waterways, Foreign parts, Forgotten navigations, Historical matters, Ireland, Irish inland waterways vessels, Modern matters, Operations, Passenger traffic, People, Politics, Restoration and rebuilding, waterways, Waterways management and tagged Ballinagoth, Barrow, Crystal Rose, Ferry King, heritage boat, Inistiogue, Kilkenny County Council, Nore, Rathsnagadan, Solent Queen, Suir, Waterford. Bookmark the permalink. I was at Ballinagoth Quay on 8 August and Ferry King is no longer there; whether she was broken up in situ or taken away, I don’t know.